The designs in the RE/Form carpet collection introduce new and custom colours to the Royal Thai commercial carpet catalogue. 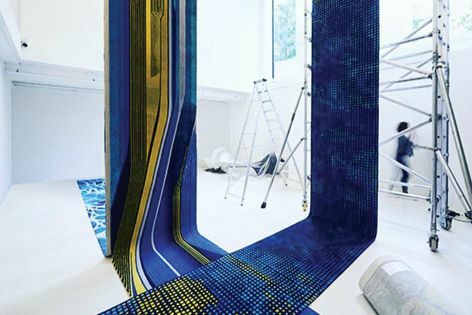 In a collaboration with Zaha Hadid Design, the RE/Form carpet collection continues Royal Thai’s design-driven direction, solidifying the future of the brand through the lens of a legendary architect. The collection consists of 22 designs, inspired by four themes that feature prominently in Zaha Hadid’s work: striated lines, ribbon-like projections, pixelated landscapes and organic cellular shapes. Patterns within each grouping capture Hadid’s signature use of interweaving, layering and play with light and shadow.